We have a fantastic gift shop that sells a wide range of reasonably priced souvenirs, many of them relating to the creatures you see here at SEA LIFE Kelly Tarlton's or the wider ocean. From cute plush toys to t shirts to books about the sea, there's something for everyone, with many choices for under $5. For visitors to New Zealand, we also have a wide range of New Zealand souvenirs made locally, from natural skincare to jewellery. 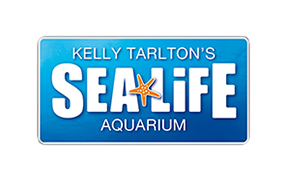 As well as gifts and souvenirs you are also able to purchase gift vouchers for various tickets and experiences for SEA LIFE Kelly Tarlton's. Guests are welcome to visit the Gift Shop without purchasing an entry tickets to SEA LIFE Kelly Tarlton's by coming to the exit of the attraction. Please note: The Gift shop is currently closed for refurbishment. We do have a pop up shop available during this time.